mobileWOMEN.org: "This is How I..." Campaign Wants to You to Join In! "This is How I..." Campaign Wants to You to Join In! 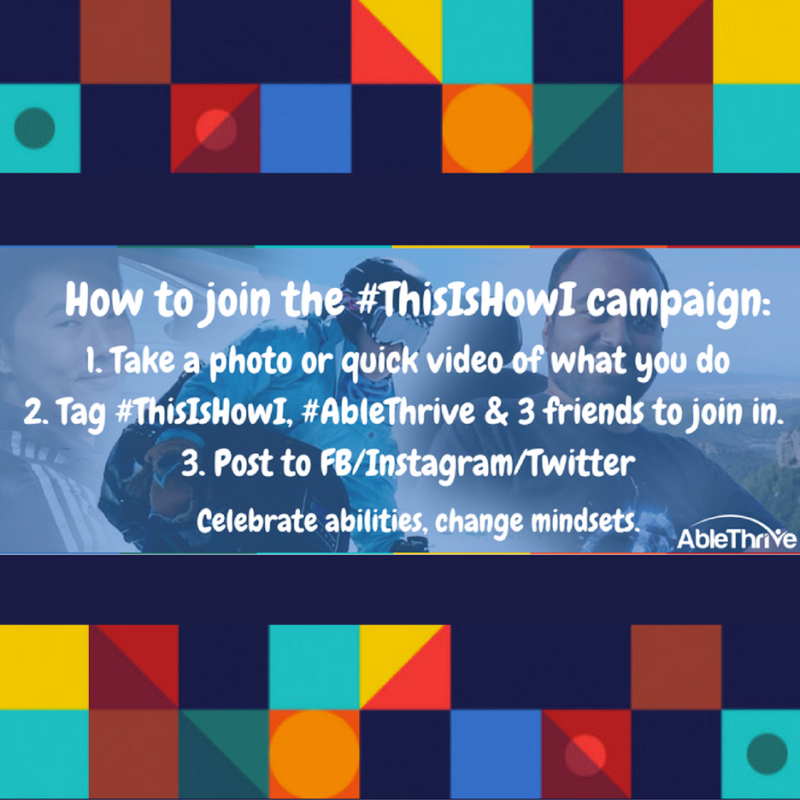 “Disability doesn’t mean inability, it just takes a little creativity.” That’s the spirit of AbleThrive’s latest #ThisIsHowI campaign, looking to celebrate abilities and change mindsets. AbleThrive was started by Brittany Déjean in 2014 with a mission to connect families impacted by disabilities to the resources they need to thrive and change the perception of disability in society. After a successful year of piloting the concept and reaching over 60,000 people on their site, they’re building a one-stop platform of curated resources for living well with a disability so people with disabilities and their families to access videos, products, and services from around the world. 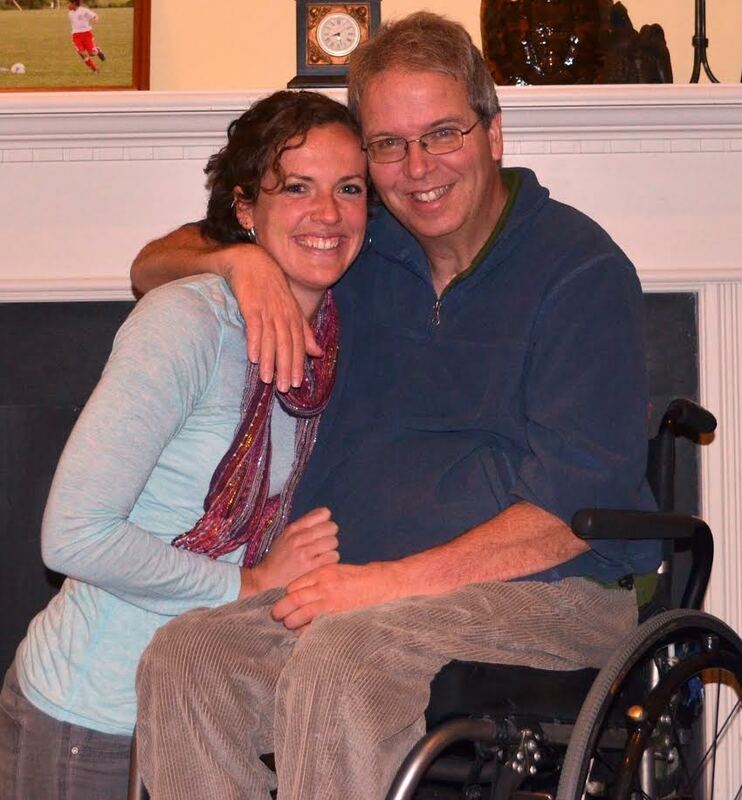 Brittany’s recognized challenges families facing disability after her father was paralyzed in a car accident in 1998. They had great resources and support through Magee Rehabilitation hospital, but in 2006, Brittany had a realization that inspired her current mission. Having met a man with paralysis who said he’d spend the rest of his life in bed, she recognized that not everyone was exposed to their potential or provided the tools to reach it. In the years since, she’s worked extensively with disability communities in five countries, giving her a voice, and sense of the common issues across diverse geographic areas. AbleThrive is committed to fostering collaboration across the world and challenging antiquated stereotypes of disability. One way they’re doing that is with this campaign. Launched on the International Day of Persons with Disabilities on December 3rd, it started with meetups around the world, one in Sydney, one in Singapore, one in New York City and one in Washington, DC where people came together to celebrate abilities. Now the #ThisIsHowI campaign’s goal is to showcase what’s possible. Look out for familiar faces in the disability community in the video including motivational speaker Nick Vujicic, models Madeline Stuart and Shaholly Ayers, Miss Iowa 2013 Nicole Kelly, mobile men and women and others hailing from the US, Australia, Ghana, the UK, South Africa, Colombia and Singapore. Ready to join in? People all over the world are posting photos and/or 10-20 second videos of the innovations and adaptations in their lives and sharing them on Facebook, Twitter and Instagram, hashtagging #ThisIsHowI and #AbleThrive—plus tagging 3 people to do the same and keep it going. Need ideas? Try #ThisIsHowI type, use a phone, dance, play with my kids, get dressed, drive a car, drive my wheelchair, garden, fish, play basketball…the possibilities are endless! 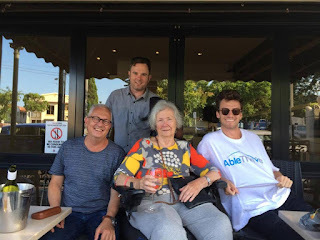 The campaign runs until the end of January when AbleThrive launches its new web platform (be sure to sign up on AbleThrive.com to get early access). Each week we'll post a new theme so there will be plenty of opportunities to participate and flood social media with the reality of life with a disability, rather than the negative and limiting perceptions we see on mainstream media. The goal is to cast the community in the positive light it deserves, and to work to dispel disparaging stereotypes- together we can change mindsets! #ThisIsHowI (do what you do)! Disability doesn't mean inability, we just do things differently. Join #AbleThrive's campaign to show what's possible. I challenge (name), (name) and (name) to post your own #ThisIsHowI photo or video, it’s your turn to keep it going! Check out AbleThrive on Facebook, Instagram and Twitter to keep up with the campaign. What are you waiting for? Get posting!